Renegades professional CS:GO player Sean “Gratisfaction” Kaiwai gave the middle finger to someone in the audience who was yelling out his position during a StarSeries i-League match on Friday. Renegades were battling Ninjas in Pyjamas with a 13-11 lead when it came down to a one-vs-one situation between Gratisfaction and Patrik “f0rest” Lindberg. Gratisfaction came out on top after catching f0rest in a corner and winning a firefight. With the round won, Renegades shook hands and celebrated. Then, Gratisfaction appeared to look at someone sitting in the audience, lift his right arm, and flip the middle finger at them. The comment seems to be validated by keeping an eye on team manager Aleksandar “Kassad” Trifunović during the clip. 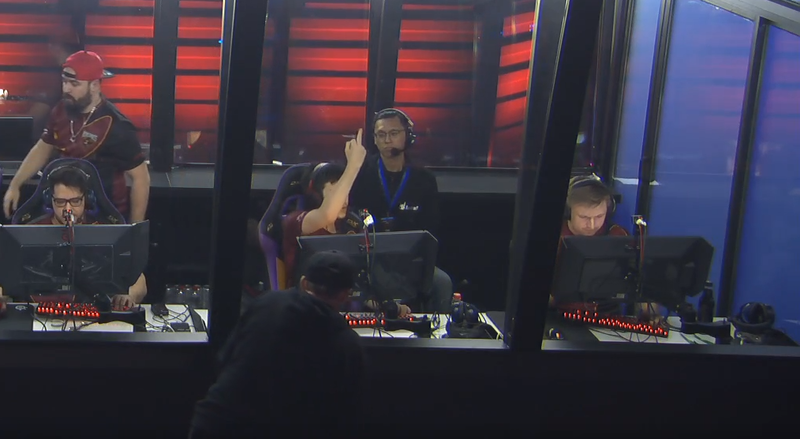 During the firefight when the facecam for Gratisfaction was on screen, Kassad can be seen speaking with the event official in the team’s booth. Once the camera panned out after the round, it became clear Kassad was frustrated with something as he kept pointing in the same direction that Gratisfaction ended up looking when he made his gesture. Even with obstructive fan callouts to deal with, Renegades swept NiP 2-0, winning round one on Mirage 16-11 and round two on Dust II 16-5.